Dr. Christina Christiansen graduated from one of the top chiropractic schools in the United States, Logan College of Chiropractic, Chesterfield, Missouri. At Logan, she earned a Bachelor of Science degree in Human Biology as well as a Doctorate in Chiropractic. 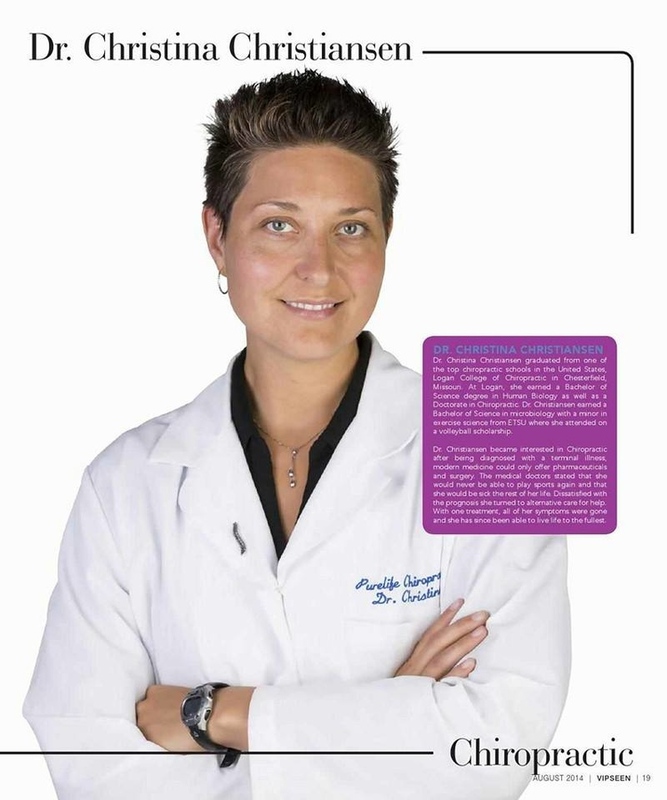 Dr. Christiansen earned a Bachelor of Science in microbiology with a minor in exercise science from ETSU, where she attended on a volleyball scholarship. Dr. Christiansen became interested in Chiropractic after being diagnosed with a terminal illness for which modern medicine could only offer pharmaceuticals and surgery. The medical doctors stated that she would never be able to play sports again, and that she would be sick the rest of her life. Dissatisfied with the prognosis, she turned to alternative care for help. With one treatment, all of her symptoms were gone and she has since been able to live life to the fullest. After living in Johnson City during her undergraduate degree, she knew this was the place she wanted to reside and establish a practice. Dr. Christiansen intends PureLife Chiropractic to be a one-stop shop for health care. There will be a nutritionist, nurse practitioner, physical therapist, massage therapist, and of course chiropractors, all in one location providing the best healthcare treatment possible.